Discussion in 'Transformers News and Rumors' started by Th0r4z1n3, Jul 15, 2010. I notice this when I started looking through some of the other pics. The pics do belong to aniami, but the twitter post came from snakas for clarification. Well... Didn't see that coming. Interesting piece for 2010 event. Price will prolly be relatively high but we'll see. AH DAMN IT!! I was hoping this was false because I'm in the middle of buying a predaking, but if I can get a brand new one, I'D RATHER HAVE THAT ONE!!... Man, this guys' gonna be pissed... Wonder when this comes out. Sweet. Check out the new paint apps. The yellow's been replaced with a bronze/gold color. He's got a metallic deco going on. Nice, will preorder when he shows up. My toy fund is seriously taking a hit with this 2010 campaign and we haven't even seen MP Rodimus yet. 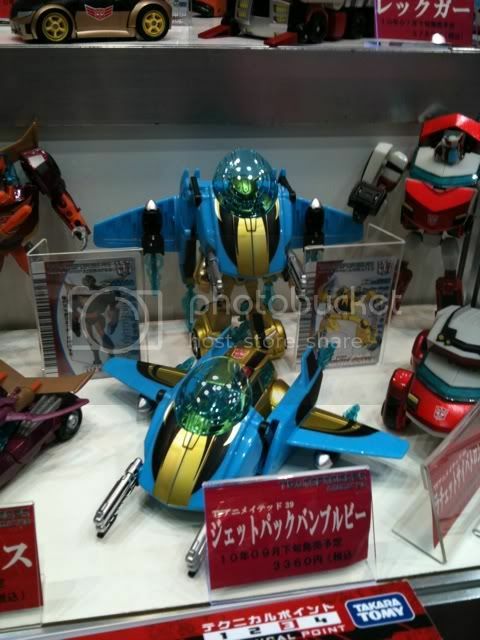 So perhaps this is one of the last two toys yet to be revealed on Takara's website? You're probably right. The last two slots are 3 points each too. Reissue Predaking and MP Rodimus would fit the bill. The last slot has a "new" tag in the corner too. Ye gods. Want, but cannot have. I can't stop smiling. This is too good! Piranacon and Predaking in the same year? Are you kidding me?! Eesh, I hope that's not indicative of the cost for the presumed MP Rodimus! The point system so far works out to around 1 pt = $50, which isn't reassuring either. The relatively weak dollar doesn't help either. On the bright side, it's looking like it'll be Rodimus Prime and not Hot Rod that gets the Masterpiece treatment if we're going by dollar/yen/point conversion. Score! How exciting. Now if Takara could throw in a Sixshot issue somehow too (be it under "2010" or something else). looks like ill be going on an all cup o' noodle diet until i can afford this beast. i must own a proper Predaking. If the price on that is not too insane it will be mine! hmmm if it can be held under $250 shipped i might just bite depending on release date. Incredible. I love those paint apps. 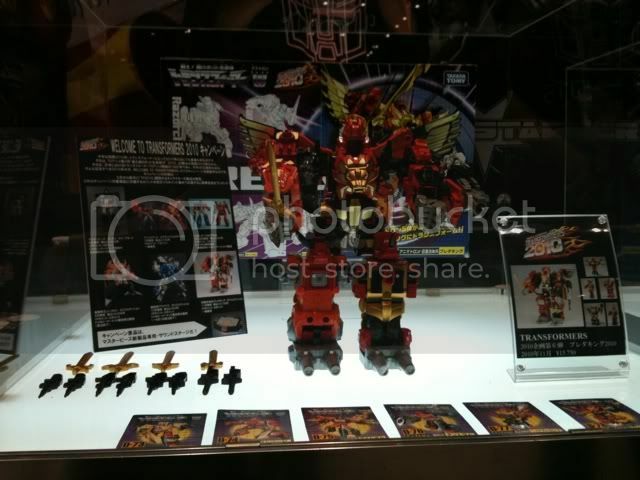 If this comes to be, I will be buying my second Predaking!